organic cotton candy | Badudets Everything Nice! Honey Creme originated from Taiwan and uses Korean ingredients from the milk to the toppings used. 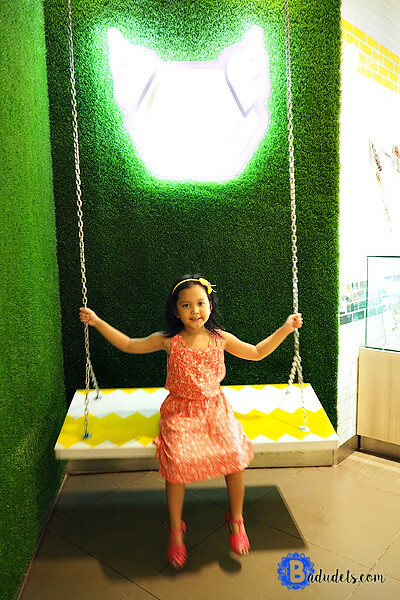 Their giant swing in front of their store in Trinoma caught Gwen’s attention and immediately asked for an ice cream. I told you I’m not an ice cream person but I can’t say no this little girl who immediately ran to the swing before I can think of a reply.